You are here: Home / Blog / Excel Tip – How To Embed YouTube Videos Into Excel. Excel Tip – How To Embed YouTube Videos Into Excel. I want to show you today how to easily insert a YouTube video into Excel. Why would I want to do that you may ask?. …..
Maybe you need to send a user a video on how to use the Excel worksheet, promote your YouTube channel or maybe you want to show a video when you are presenting using Excel. Yes that is correct you can demonstrate your Excel solution then show a video right there from Excel without having to come out of Excel and go into YouTube, press play….. 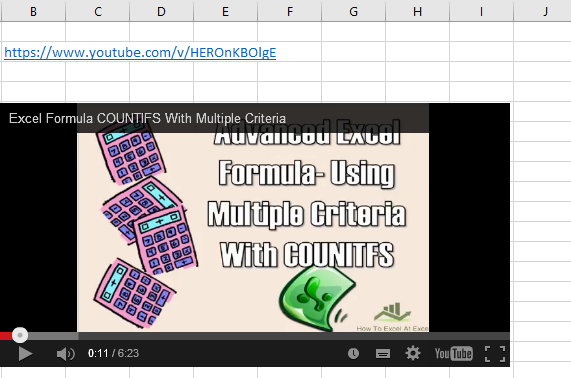 It is really easy to embed a YouTube Video right into Excel, not just the URL. All you need to do is follow the steps below. Copy and paste the URL from the video into your Excel worksheet. It will look like this. Ready now for step 2. Want To Watch The Video?? 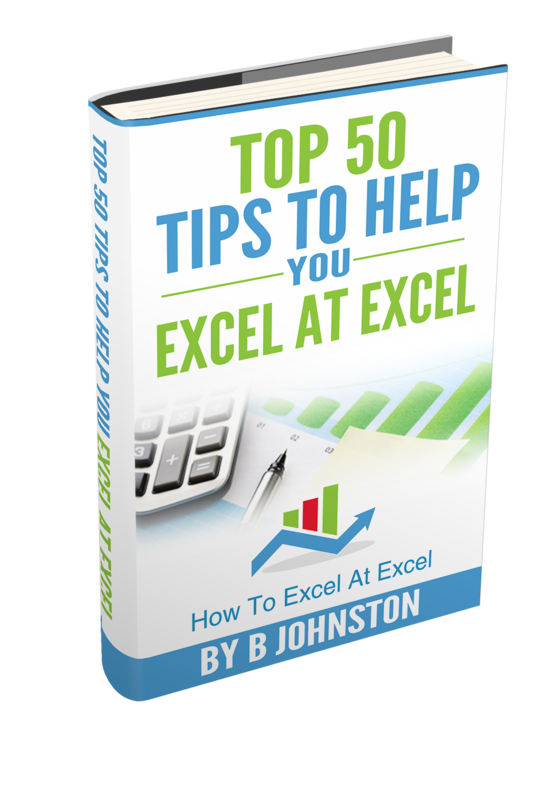 Don’t forget to sign up to the Excel at Excel Newsletter for 3 free Excel tips the first Wednesday of the month. Just click on the Sign Up Form to the right or use the link below.